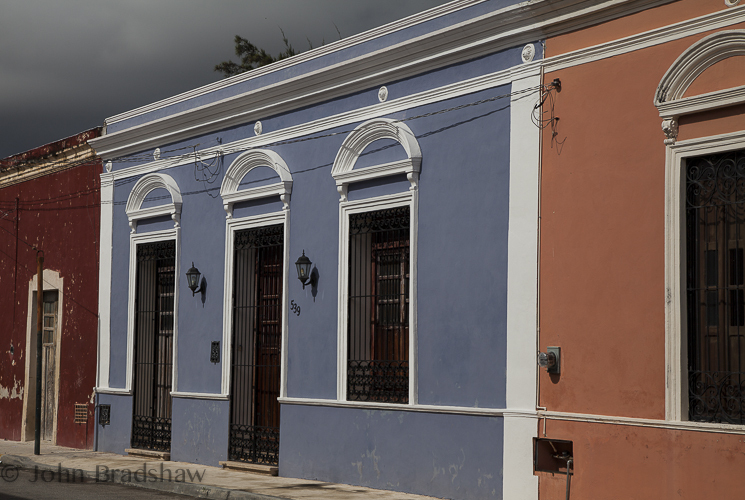 Facades in Mérida run the gamut from white to vibrant colors. This is one of the more unusual colors I’ve found. The past year or so has seen me extremely busy finalizing the move to Mérida, Yucatán. 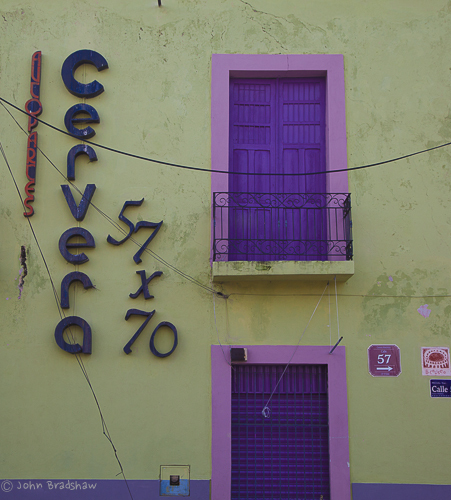 We left the United States on October 21st and drove for five days through central Mexico to reach our home in Mérida. The past two months have been devoted to settling in to our new country and home and there has been little time for photographic pursuits. I hope that changes and that I can, once again, find interesting images to share. 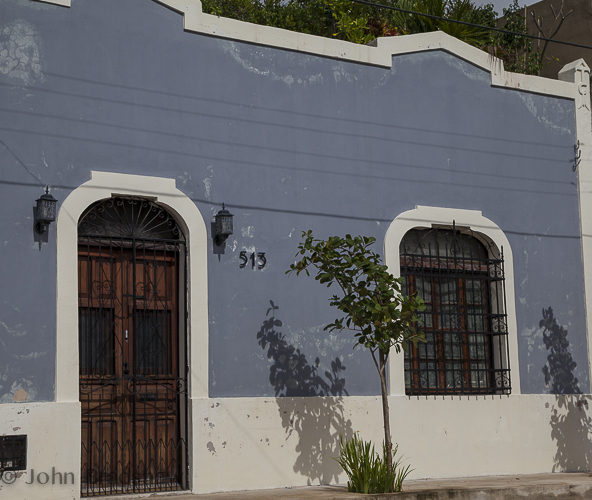 The historic center of Mérida is full of old colonial and colonial style homes, many of which have been reclaimed and renovated by American, Canadian, and European expats. It is not unusual to see a beautifully renovated home next door to an abandoned ruin. 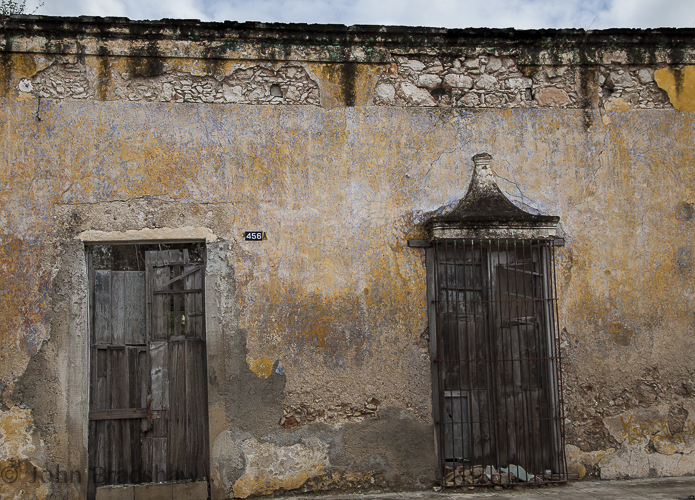 Entire families of Yucatecans live in many of these homes, from grandmother to grandchildren. Mérida is a vibrant city of about a million people, with excellent healthcare, great food, and kind people. It is a dream come true to live in such an amazing city. As in most urban areas, the occasional graffiti can become an interesting and colorful work of art.